Welcome to this villa page show casing new Croatian villas for preview. The properties listed below are also available to view and book, you just need to call us on 0208 888 6655 or send an e-mail to sales@croatianvillas.com to enquire/book quoting the VILLA CODE for each property you are interested in. A lovely 2nd floor, 2 bedroom apartment in popular holiday destination Rogoznica, with stunning sea views from the balcony and beach just 5 minutes’ walk from the property. Situated in lovely Podstrana, just 10km from Split itself, this spacious holiday home with pool is divided into 3 apartments, all let together. A spacious and well equipped holiday villa in seaside Marina, close to UNESCO protected Trogir, within easy walking distance to shops, restaurants and local beach. A lovely large stone villa for 15, with pool, play area and spacious landscaped gardens with views to the sea. Dubrovnik itself is within easy reach for a day trip, while the beach just 500m away provides plenty of entertainment for all. A lovely, welcoming villa with sea-facing pool and lovely shaded outdoor dining areas, ideal for a value for money getaway by the sea within easy reach of famous city Dubrovnik. 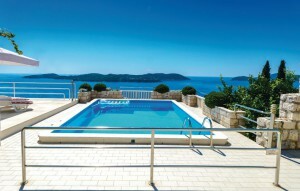 Well-equipped and ideally located, in easy reach of Dubrovnik and all local amenities, this semi-detached holiday villa with pool is bright and airy, perfect for hot summers near the sea. 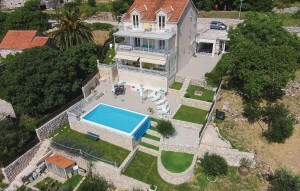 A unique find – close to the centre of popular town Makarska, this large holiday villa benefits from beautiful pool and sea views, yet is just a few minutes’ walk to the town centre and local beaches.